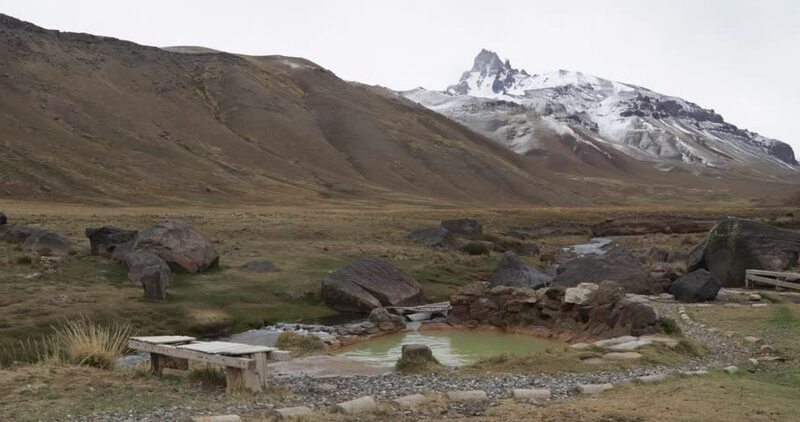 Natural healthy hot thermal exterior bath at Cajon Grande watching The Campanario mountain at The Andes with snow in winter on a cloudy day. Mendoza, Cuyo, Argentina. 4k00:18The Himalayan yak eats grass among the mountains of Nepal. Manaslu circuit trek.